Muskrat Falls, Labrador. Site of a proposed hydro electric project by the governments of Newfoundland and Quebec. 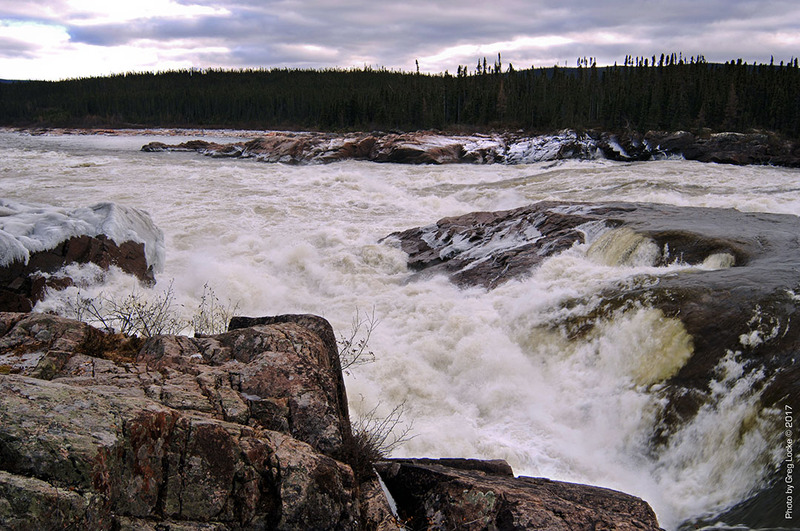 This is downriver from the Churchill Falls Hydro project in Labrador. Note to readers: In the Autumn of 2013 a group of veteran professional journalists launched Facts and Opinions as a boutique journal, of reporting and analysis in words and images, without borders. Independent, non-partisan, and employee-owned, F&O was to reach out via the vast web and, to be free of conflicts of interest, funded only by readers — not by advertising, “branded content,” or organizations. Amid massive cultural, political, financial and technological change, and a worsening crisis in the business of journalism caused largely by digital corporations like Facebook, F&O is now conducting a four-year review. Due to a reduced publishing schedule we are not currently selling subscriptions — though contributors may provide their individual payment link, and we appreciate supporting donations via links on each page. Thank you, and bless those few hundred of you who have supported our site from the start. You are, sadly, too few among nearly 1/4 million readers, most unwilling to spend even pennies on journalism, even as many copy and paste our works onto Facebook or blogs. For our future plans, and a request for your feedback, please stay tuned. Meantime, we invite you to read Elizabeth Kolbert’s review in the New Yorker of two important books about journalism media — and consider what is at stake in the survival of real journalism as a cornerstone of democracy. If we view ourselves as citizens of informed democracies, we have power to support or change systems. If we don’t, the cynicism or apathy of acting only as consumers will be self-fulfilling. Whether our future unfolds in democracies is our choice, and each of us has a stake. The Pluck of the Irish: How a proud native cuts through the kitsch. Please stay tuned for future announcements from F&O: Sign up for our newsletter on the FRONTLINES blog page. Explore our archives: evidence-based reporting in Reports; commentary, analysis and creative non-fiction in OPINION-FEATURES, image galleries in PHOTO-ESSAYS.